It’s hard to believe that this post is nearly a year old and is still my most popular post! Seeing as we have a range of bomber jackets this Spring/Summer, I decided I would update this post. My inspiration still comes from last year’s MTV Movie Awards. Bomber Jackets and Sneakers were the main menswear talking points. We saw Miles Teller and Zac Efron rocking the Bomber looking both cool and casual at the awards. Seeing how versatile this jacket is, I decided to browse online and pick my favourites from the High Street. This pink bomber jacket from River Island is perfect for this time of year. I love the detail, it gives off a nice biker feel to it. The colour is also great for Spring/Summer so it’s perfect for a night on the town. I would pair this with a white polo shirt and dark wash slim fit denim. Add a pair of navy desert boots to smarten up the look. This beauty was my top pick from the recent Boohoo press day. I purchased it within days of seeing it. I wore this on a recent night out and teamed it with a navy t-shirt, burgundy chinos and a pair of trainers I picked up in Primark recently. I felt that the combination worked well and I know that the jacket can also be used for a smarter look. This Navy number from Burton is more on the smarter side of things. I would pair this with a white shirt and navy tailored trousers. I would add some black Chelsea boots to finish it off. 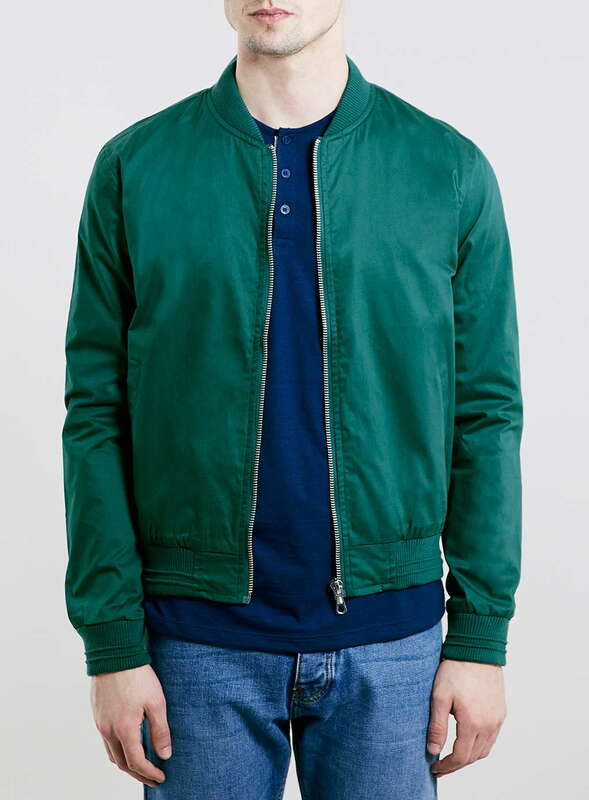 This satin Bomber from Mango would be a great addition to any stylish man’s wardrobe. The colour just makes it so versatile. Just think about it, you can dress like Ryan Gosling from Drive for just €89.95! This would be a timeless piece that will be used again and again. This one from Bershka is a real bargain at €35.99. As in the picture, I would pair it would wear it with a check shirt and jeans because of the casual nature of the jacket. Also, another major plus point is that black doesn’t go out of fashion, so it will be a piece that will last season after season! I really love this one from Topman. I won’t lie it was the Teal colour that immediately drew me to it. It really stands out! So I would recommend this as one of your statement pieces for the upcoming season. Penneys also have a great range of bomber jackets this spring/summer. It is considered their IT jacket for this season, make sure and check out Primark.ie to check when they are available and are priced between €18 and €28. Would it be wrong not to buy one for that price? Wouldn’t it? Of course, it would! I expect these to fly off the shelves so act fast! I really hope you enjoyed the post and that you pick yourself up a bargain or two!